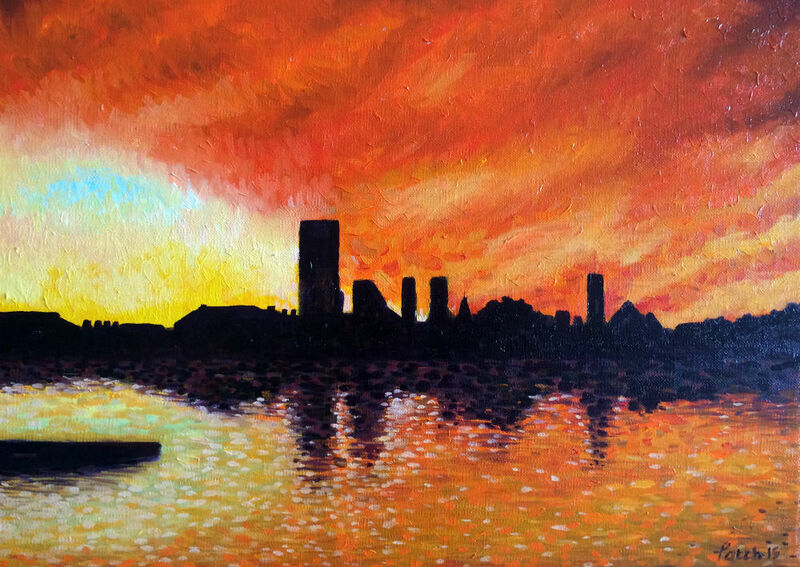 Sunrise over Wapping is painting in oil on canvas. Living on the river serves up constant visual treats. The wapping sunrises and sunsets are one of the frequent delights that i witness.